Welcome to our Mother's Day Giveaway! 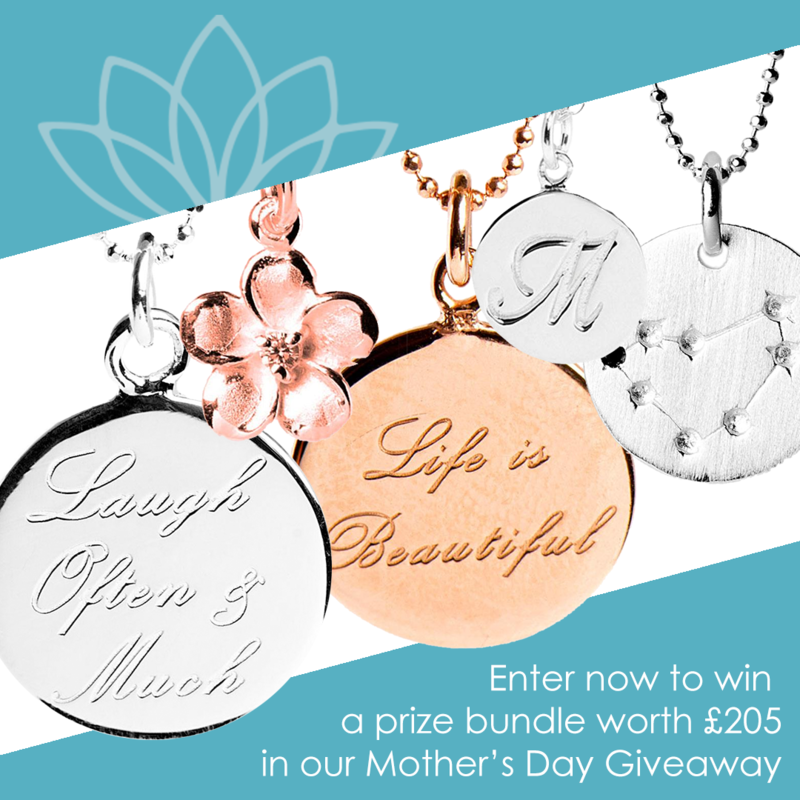 WIN One of 5 Mother's Day Prize Bundles worth £205! Prize package is one of 5 sets of Mantra Jewellery’s ‘Mother’s Day Gift Set’ of Sterling Silver Necklaces, comprising ‘Laugh Often and Much’ in Sterling Silver; Flower Necklace in Rose Gold-plated Silver; ‘Life is Beautiful’ in Rose Gold-plated Silver; an Initial and Star Map of your choice in Sterling Silver. No alternative choice of necklace available. Necklaces are non-refundable and have no alternative cash value. Subject to availability. Competition closes at midnight on Sunday 24th March 2019. Five winners will be chosen at random on Monday 25th March. If any winner cannot be contacted, an alternative winner will be chosen. Mantra Jewellery reserves the right to amend or revoke this offer at any time. Competition open to UK residents only. Competition promoter is Fabulous Collections Ltd, owner of Mantra Jewellery.